The human figure does much more that provide scale to architectural photography. The human figure occupies architectural space, a space that is, in many ways, a reflection of the human body, both in terms of proportion and in terms of systems. This post explores these connections, between architecture and the human body. 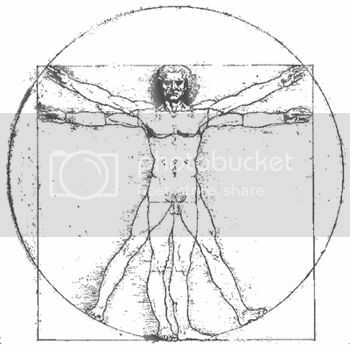 Leonardo DaVinci's Vitruvian man was imagined in the formative years of the renaissance artist’s apprenticeship, a course of study that included the study of art and architecture. DeVinci observed and documented the scale, proportion, and order of the human body. These early observations remained as influential in his architecture as in his art, and even influenced his view of the universe. 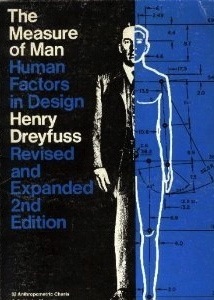 During the influential midcentury reign of the industrial designer, Henry Dreyfuss compiled reams of anthropomorphic information amassed during the war and documented them in the first thorough reference book of its kind. The influential Measure of Man provided mean and median measures of Joe and Josephine, hypothetical figures representing the typical man and woman. This information is a valuable aid in design and, when applied, makes products and spaces more functional and efficient and can even help in the reduction of fatigue or injury. These measures and proportions are fundamental to humanizing the spaces within buildings, but there is also a more literal connection between architecture and the human body. Both buildings and the human body are comprised of systems. Structural or skeletal systems allow the building or body to stand. Buildings, like bodies, circulate electricity, water, and waste through their various systems. And buildings and bodies are held together with skin. It is the skin that relays the most information to the observer and is the primary factor by which a building or human figure are evaluated. 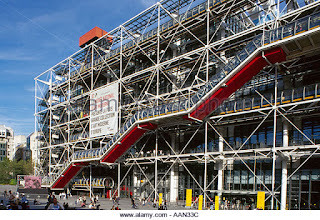 I cannot think about building systems without thinking about the Centre Pompidou in Paris, which opened in 1977. The commission was won by a couple of young architects who are now among the world’s most respected architects – Richard Rogers and Renzo Piano. The building was designed to show off its systems, without the cover of skin. 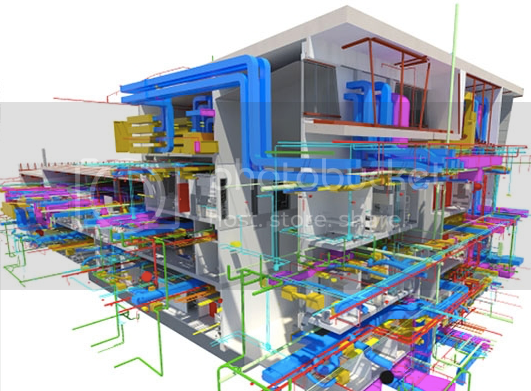 In this building it is the structure and the systems that are prominent. Plumbing pipes were painted green, ducts blue, circulation elements red, and electrical conduits yellow. One can see deep within the building and observe the occupants moving horizontally on the floor plates and vertically in escalator tubes. 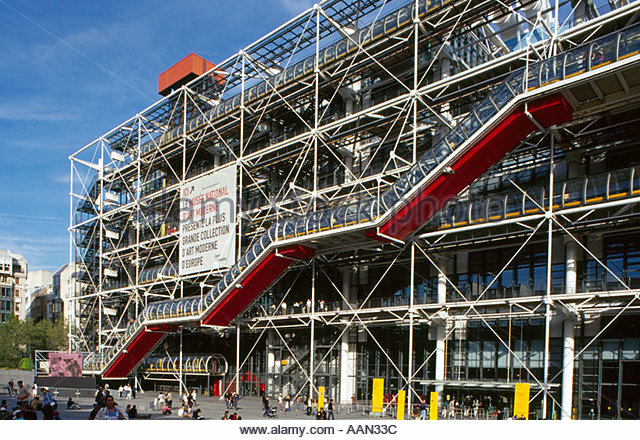 Loved by some and loathed by others, the Centre Pompidou has been a wildly successful museum. It handles five times the number of visitors originally anticipated. In the architectural world, the unconventional approach to design and construction launched what is referred to as the “high tech” movement. 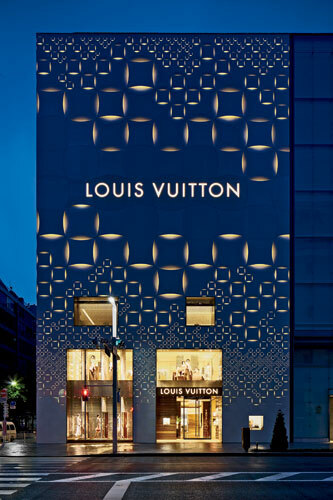 More recently there has been a renewed interest in exposing and expressing a building’s skin. 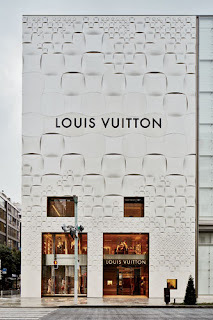 A fine example of this is Jun Aoki’s Louis Vuitton building in Ginza, Japan. Rather than selecting a hard skin such as brick or marble cladding, the architect chose a delicate scrim, which looks almost organic. Its stylized pattern weaves in and out and seems to breath. At night it is not simply illuminated from the outside, but is lit from within, the result is dramatic and inspiring. Buildings such as the Centre Pompidou or Louis Vuitton Ginza capture our imagination because they break convention. On rare occasions, it is the architect as well as the architect’s buildings that break convention. While finishing this post my wife informed me that Zaha Hadid died unexpectedly earlier today. This is a great loss both for the profession and for those who were and are enriched by experiencing her architecture. My next post will pay tribute to Zaha Hadid. Join me for Shattering Glass.